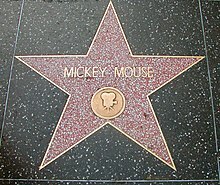 Michey Mouse (Mickey Mouse) se yon pèsonaj desen ki te kreye pa Walt Disney (The Walt Disney Company). Mickey se yon sourit, fiyance l' se Minnie Mouse. Paj sa edite a 22:18, 31 me 2017.